It is obviously a most annoying problem especially if it comes at a most inopportune time, like when you‘re in a real hurry to leave the house, and then suddenly it strikes you that your garage door is not working (again?). Or that you find yourself unexpectedly locked out of your garage. After a period and constant use, garage doors are bound to manifests defects. Garage Door Won’t Open or Close – If your garage door is automatic and it won’t open then check your garage door keypad, and most likely it is not working, and there is something wrong with the programming. There could also be problems with wiring inside the keypad; if this is the case, then you have to contact a handyman or manufacturer. Or it can be as simple as just replacing the battery on the remote control. Garage Door Gets Stuck when Opening or Closing – Check metal rollers of your garage door they might need some lubrication, or there may be some dirt clogged on the tracks of the garage door. Even the smallest obstruction like encrusted dirt could render the garage door stuck or limit its movements. You could try taking a rag and wipe down the tracks. 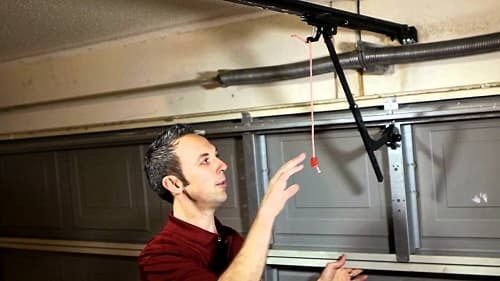 Garage Door Slams on Floor when Closing – check garage doors extension spring if they are still pulled tight if not and they look all worn out chances are they need replacement. If you have experienced these garage door problems, try to do maintenance work on your garage door. Clean your garage door tracks frequently and if possible with the use of microfiber cloth to avoid leaving stray fabric from the cloth behind. It is important to clean tracks garage door, as they are the usual cause of garage doors jamming or jumping. It is important not to leave garage door partially open because the tendency is if you activate it again it may surprisingly travel downward and accidentally hit anything in its path. Another thing to do to minimize garage door problems: you should lubricate them again after some time. You can use either a light machine oil or graphite. 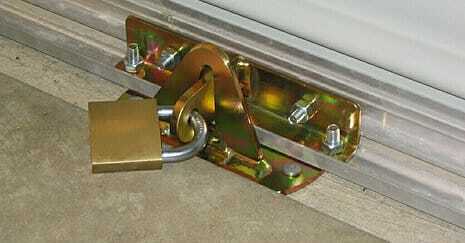 To help in the even distribution of the lubricant on your tracks open and close garage door several times. Next, you need to check on the garage door hinges and inspect them for rust or dirt. Wipe the hinges as you did your tracks and lubricated them too. What you can also consider part of your garage door problems is the garage doors security. To help ensure the safety of your garage doors try to make sure that the control button of the garage is not within children’s reach. Never, leave them in the car too as bad characters may chance upon them and gain entry to your house Test the garage doors reversing mechanism monthly to make sure that it is still in good working condition. One other thing we may include in our garage door problems is if your garage door opener wakes people up due to the noise it makes or disturbs the household. 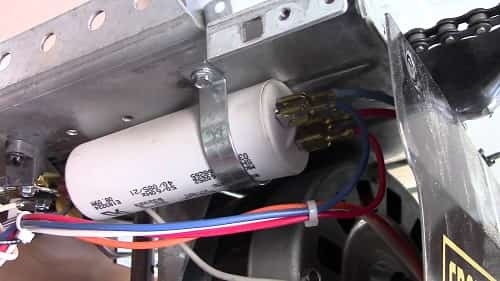 If this is the case, then you may have to learn how to install a garage door opener or seek the help of a professional. Don’t you think you should also name it as part of your garage door problems if your garage door does not open when the power goes out; apparently because the garage door opener is not working too? If this is the case, then check garage door accessories and check what they call an emergency release kit. So in order not to let garage door problems bother you frequently then learn how to troubleshoot your garage door. There may be times that the problem is not exactly mechanical but simple interference like a garden tool leaning against garage door perhaps? Next, check if any bolts are loose and tighten them down. Look for any rusty part like cables or springs and replace them immediately. Four pulleys are operating on a garage door frame check on them too. Finally, if you are just putting up a garage door or thinking of replacing your garage door it may be wise to check on the most reliable garage door brand, there is in the market. It may help lessen or at least prolong the time before you have to deal with garage door problems. Check garage door reviews online and carefully base your decision on what should be most dependable. On a final note, make it a point to inspect your garage door opener at least once a year to make sure that it is running properly and that everything is in order. As a rule of thumb, it is always better to be safe than sorry.